Two physicists are in a race with federal authorities and three former CIA agents to detonate a dirty bomb in Las Vegas. The physicists deploy several explosive devices, hidden in plain sight, that can be detonated at any time. Federal authorities realize too late that their best technologies, people, and staff cannot detect the existence and movement of small bombs. The safety of Las Vegas depends on three former CIA agents brought together by an employer with ill intent and strong ties to venture capitalists funding the latest crop of entrepreneurs. Who will win? Will Las Vegas be saved? This story is told in an almost-textbook manner. There’s several info dumps throughout the story and often we’re told what has happened instead of shown. I kept looking for the thrill in this novel but it was pretty straight forward. At times, it felt like I was listening to a report instead of a work of fiction. Sometimes all the acronyms and government-speak added to the story (since it’s all about CIA operatives taking out terrorists) but mostly it gave the story a plodding quality. My favorite character was Eddy, the nun and semi-retired CIA operative. She’s in her 70s and still just as deadly as she was at 25. I love her no-nonsense manner. I think a whole series could be written about her and it would be fascinating. Alice Linda and Joe McRory were OK. Linda comes off as still young and a little too cocky. That scene where the British cop gives back her ankle holster was great. Ha! Joe and Linda argue with each other often but I guess there’s supposed to be some chemistry between the two (which Eddy points out later). However, I didn’t get that. In fact, their childish arguing made them seem anything but trained professional killers. The story has 2 main terrorists. One seemed like a simple placeholder (Al Hami), where we don’t get much about him or his reasons for doing what he’s doing. Then there’s Todd Addams who definitely had his reasons for turning bad. However, we get most of his character all in one long info dump. There are two Native American assassins (plus a niece who wants to avenge them) and I really liked this aspect of the story as it was unique. I did find it a bit odd that the CIA operatives all believed that Native Americans were too striking in looks and would stand out wherever they go. Like any other ethnicity, some individuals are striking and many others can blend in. Other than that silly assumption by our main characters, I really liked the inclusion of some very capable Native American assassins. Over all, the story has potential to be interesting and thrilling but I feel it could have used one more edit to make it flow better and to keep the pace exciting. 3.5/5 stars. The Narration: Laura Copland did a pretty good job with this narration. She’s got a good voice for Linda and I loved her as Eddy the old nun and CIA agent. Her male voices were believable and all her characters had distinct voices. Sometimes she overplayed this or that regional accent and I winced a little but it was only with minor characters so my suffering was kept to a minimum. The recording quality is good with no issues. 4.5/5 stars. I received this audiobook as part of my participation in a blog tour with Audiobookworm Promotions. The tour is being sponsored by Howard Weiner. The gifting of this audiobook did not affect my opinion of it. I really enjoyed this story and the way the plot was laid out and the characters were introduced with the information provided on them, however at times I did find it difficult to follow, it was however well worth following. 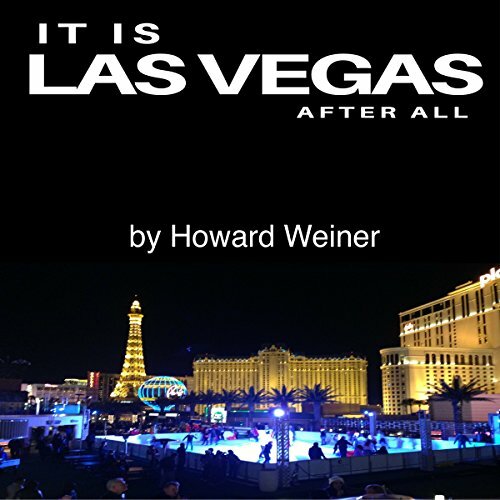 Howard Weiner has written a very intense plot that you don’t want to stop listening to. You do have to pay very close attention to the clever story because it is very involved. I can highly recommend listening to this book. Laura Coplands narration was very well done especially given how interwoven this story is and the amount of dialogue and information. The changing in voices were flawless and well defined. The tone was well maintained throughout and the intensity was well expressed. I fully commend the narrator for making this story come to life. I did struggle to finish this one because of the sheer amount of information without much dialogue. So I think her performance was outstanding.